Great Place to Work® is pleased to announce the 2018 list of Canada’s Best Workplaces Managed by Women. To be eligible for this list, organizations must be Great Place to Work Certified™ in the past year and have a female president or CEO. We determined the BEST based the overall Trust Index© score from employees. A recent StatsCanada report found that parity remains elusive for women in Canada’s private sector. Only 26% of Canadian senior managers in the private sector are women, and just 3% of companies listed on the Toronto Stock Exchange’s main index have a female CEO. These stats are surprising, especially considering that women make up about 50% of the Canadian workforce, and are more likely than their male counterparts to have an undergrad or advanced university degree. This list of Best Workplaces Managed by Women represents twenty-five outstanding Canadian workplaces that are led by women at the senior-most ranks. These organizations are characterized by high levels of trust, pride and camaraderie, and a culture of inclusion. The women leading these organizations have each followed their own unique path, but they’re united by a shared journey of career highlights and challenges which has been influenced by gender. We asked Jennifer Jackson, President, Capital One Canada, to share the development supports that have been most helpful in her own career path and offer insights on the challenges still facing women in business. According to Jennifer, building relationships with people who have similar experiences, challenges and opportunities helps foster a sense of community and a broader network of support. “My professional growth has been significantly impacted by my peers through their honest and open feedback”, says Jennifer. Capital One has a growing number of Business Resource Groups (BRGs), including Women in Technology, which inspires associates to be the best version of themselves by supporting each other, taking part in women’s empowerment conversations and offering events that help increase awareness and promote associate development. Jennifer adds that having access to coaching and sponsorship from female and male leaders is also critical to career growth. “I’ve been fortunate to work with leaders who coached me through challenges and helped me better leverage my strengths. They have been a voice for me among their peers and advocates for helping me identify new opportunities to learn and grow.” Last year, in celebration of International Women's Day (IWD), Capital One hosted a panel discussion, featuring associates from various levels within the organization who shared their experiences regarding advocating for self, seeking mentorship/sponsorship and self-care. The IWD event also featured a speed networking session that provided associates with the opportunity to connect with senior leaders to seek career development advice. Jennifer is quick to point out that, although support from peers and coaching from leaders is critical, having a fair and formal evaluation and feedback process is equally important to enabling career development. “At Capital One, the performance management process is designed to help mitigate bias. 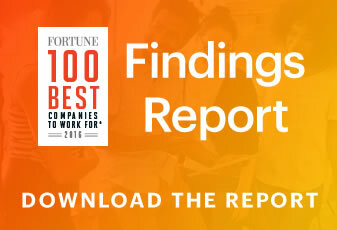 Performance reviews are done collectively, and these different perspectives provide more balanced, tangible, and actionable feedback.” They also actively incorporate diversity principles into their recruiting initiatives and have made this a key focus in 2018, including gender-balanced recruiting teams at campus events, and a thorough review of hiring streams to ensure diverse representation. As a result of these efforts, in 2018, 50% of Capital One’s new hires were women. In many industries, including technology and financial services, the representation of women and minorities at the leadership level is low, which creates a sense of loneliness for those who have ascended to those roles, as well as a lack of role models for those who aspire to senior positions.